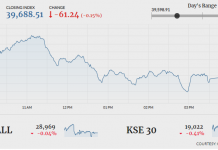 Formal listings and initial public offerings [IPOs] in Pakistan are a rare sight these days, given the volatile capital market situation and the political uncertainty; many firms reviewed their decision of listing and postponed their formal listing plans. However, given the recent devaluation of the rupee, which is expected to help exporters become more globally competitive, this seems the perfect time to seek a listing if you are a company like Interloop, the seventh largest exporter in Pakistan. Interloop is a company that sells hosiery products to some of the world’s biggest brands and is seeking to raise at least Rs4.9 billion by listing 12.5% of its shares on the Pakistan Stock Exchange. Its client list includes major global athletic wear brands like Nike, Reebok, Adidas, and Puma, as well as other major clothing brands like H&M, Uniqlo, Target, and Levi’s. And the company has seen strong revenue and profitability growth in recent years, which its management claims is a testament to its culture. “We have always tried to be the best in the class, to be ethical in our dealings, invest in latest equipment and technology, train our people and prepare highly professional middle and top management cadres,” said Musadaq Zulqarnain, chairman of the board of directors at Interloop Ltd, in an e-mailed response to questions submitted by Profit. 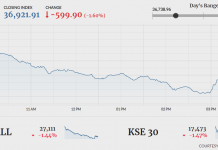 And market analysts are bullish on both the stock and the prospects of economic growth in the country. “This may be a good time [for an IPO] as market is expected to regain some of its past losses on the back of government’s resolve to address the country’s economic concerns. With Saudi Arabia already given a bailout, China is also expected to do the same coupled with entry into the IMF. With strong statement from the government for providing incentives for the export industry, it looks like a good time for Interloop to get listed,” said Saad Hashemy, chief economist and head of research at Topline Securities, in a note issued to clients ahead of the listing. But is it enough to capture the attention of the individual and institutional investors? A lot depends on the stock market situation and the competitive textile industry. Interloop was established in 1992 as a company that operates in the hosiery sector, focusing on manufacturing socks and leggings for major global brands. The company established itself as a trusted partner to the likes of Nike and Adidas. 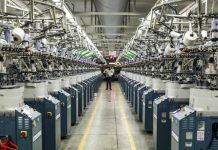 After eight years, a second production unit with 400 knitting machines was installed. Since inception, the management focused on keeping costs down through innovation. In 2003, Interloop opened its first vertically integrated hosiery plant in Faisalabad in order to make its supply chain management more efficient. In 2005, with production consistently on the rise, the company opened their second hosiery plant, and launched a yarn dying division a year later. With over a decade in the hosiery business, Interloop had made a mark in their particular niche. In 2009, the company collaborated with Eurosox Plus, a Netherlands-based firm to provide marketing intelligence, design, sales and distribution services to clients in Europe. In the next few years, the company made a global leap by venturing into Bangladesh and Sri Lanka. Interloop also set up a China office to source raw material supplies to shorten lead times. Major raw material sourced were yarns, chemicals, dyes, etc. In more recent years, the company has diversified away from being a pure textile manufacturer, and like many other larger businesses in the country, ventured into the dairy farming business. The core of the company, however, remains textiles, and between 2014 and 2017, the company kept investing heavily in its production capacity, opening spinning units, vertical sampling facilities, tights and legging production plants, a new distribution centre, and a new power plant to produce its own energy. The company had revenues of Rs31.1 billion for the financial year ending June 30, 2018, a 17% growth over the previous year. Over the past five years, the company’s profits have grown at an average rate of 8.3% per year. The company’s net income grew to Rs3.9 billion for the fiscal year 2018, a 12.5% increase over the previous year. Over the past five years, net income has grown at a compound annualised growth rate (CAGR) of 15.7% per year. 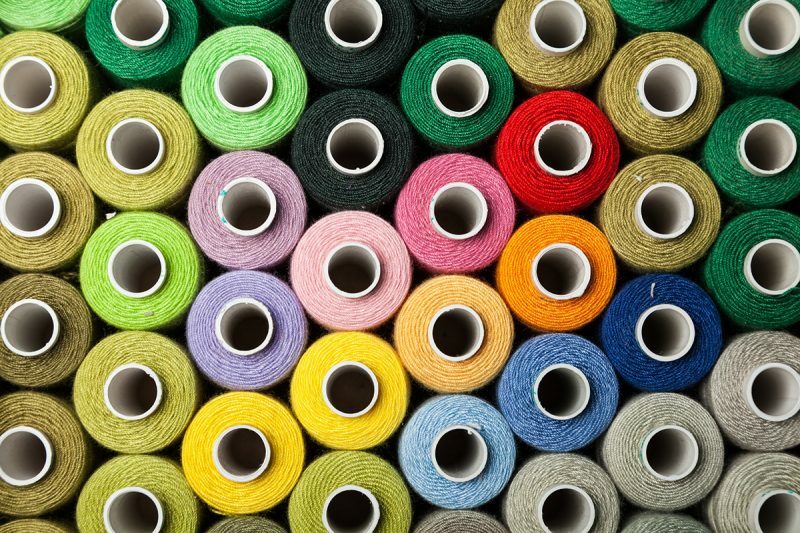 The textile sector of Pakistan is the most competitive business sector in the country. Pakistan ranks as the fourth largest producer of cotton globally and contributes a total of 8.5% to total economic output of the country. According to the Pakistan Bureau of Statistics, the textile sector contributes to 60% of the export revenues of Pakistan. It provides 40% of the employment in the manufacturing labour force of Pakistan. According to the company’s prospectus, expansion into hosiery is necessary as fashion trends are changing. In the next three years, the hosiery segment is expected to expand by an average annual growth rate of 3.6% per year. Increasing disposable income and changing lifestyles, including ordering through the internet are all indicators of expected increase in demand in the near future. Interloop is looking to raise at least Rs4.9 billion from its initial public offering, for which it has set a floor price of Rs45 per share, which comes out to a price to earnings (P/E) multiple of 8.8x its net income over the latest 12 months for which financial data is available. 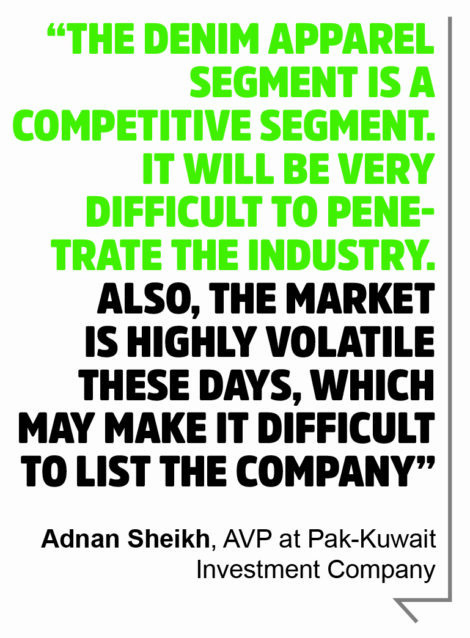 That puts the company in the middle of the range as far as typical Pakistani textile company valuations go. There are two main objectives for the IPO. First, the company wants to expand hosiery production by opening a new plant. Simultaneously, the company wants to enter into the apparel business by opening a denim plant in Lahore, for which land has already been acquired. “Pakistan is one of the major countries of origin for denim. We are also expanding in hosiery (socks and leggings) while already being one of the top manufacturers of this category in the world. Denim has a huge potential and will complement our overall sales,” said Zulqarnain. The European market holds the largest share of global hosiery sales, which is estimated to stand at 35.3% by the end of 2024. As Interloop has collaborated with Eurosox in Europe, it has strong distribution channels which will be beneficial as production increases. However, the highest growth potential is seen in the Asia Pacific region, which is expected to have a cumulative average growth rate (CAGR) of 5.6%. The global market for denim is expected to increase at a staggering 6.4% annually, from $57 billion to $75 billion by 2021. In emerging markets, the rising disposable incomes and changing fashion trends, coupled with Pakistan becoming a denim hub in the past decade has made denim business a profitable venture, with competitors such as China, Bangladesh, Vietnam and Turkey, Pakistan could also profit from the increasing demand. On the other hand, there are around 40 firms operating in the denim industry locally. Major local players include Classic Denim, Rajby Industries, Soorty Enterprises, Al Ameen denim mills and Artistic Milliner Pvt Ltd. All these competitors combined are producing approximately 50 million square meters of finished denim fabrics monthly. And there may be the potential for government support of the textile sector boosting Interloop’s earnings. “If the government provides incentives to the export industry, every major player will benefit. The thing that can differentiate Interloop and others is that Interloop is a trusted supplier to international brands such as Nike, Tommy Hilfiger, JCPenney and Adidas,” said Adnan Sheikh, a research analyst at Topline Securities, a brokerage firm. Given that this formal listing would be largest private sector IPO in the history of Pakistan Stock Exchange. The stakes will be huge, both for the investors as well as the company.